Available from Glyn High-Tech Distribution , GainSpan Corporation’s new wireless connectivity solutions are designed to simplify the addition of ultra-low power Wi-Fi to embedded systems that use Renesas 8/16/32-bit microcontrollers. The new GainSpan low power Wi-Fi connectivity solutions ease the design of new devices and upgrading of existing products, enabling faster development of connected devices to support the growing demand for Smartphone monitored and controlled devices, and ‘Internet of Things’ applications. Renesas Electronics' customers are now able to add Wi-Fi connectivity using GainSpan's GS1011M and GS1500M low power Wi-Fi modules and develop their solutions with the Wi-Fi adapter boards, evaluation boards and drivers from GainSpan. All GainSpan solutions work seamlessly with Renesas MCUs, which are among the most popular on the market for embedded system applications. Key applications for the GainSpan connectivity solutions for Renesas MCU-based embedded systems include personal healthcare and fitness devices, thermostats, HVAC equipment, home appliances, security systems, home and building automation systems, consumer electronics, and industrial sensors among others. GainSpan’s new solutions include Wi-Fi adapter boards that plug into the Renesas development boards through the Application Header Interface or PMOD connectors used for example, on the RL78 and RX62/ RX63 Renesas Demo Kits (RDK). GainSpan offers evaluation boards that interface through an RS-232 connector for other Renesas development boards. The Wi-Fi adapter boards come in two configurations including the WAB-GW-1011MIP Wi-Fi, an ultra-low power 802.11b solution based on the GS1011MIP module and the WAB-GW-1500M, a low power 802.11b/g/n solution based on the GS1500M module. 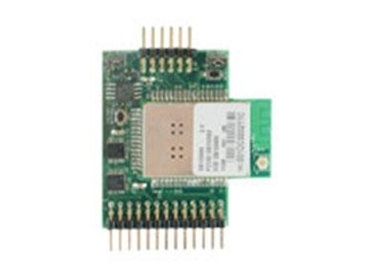 The GS1011MIP and GS1500M modules mounted on the Wi-Fi adapter boards offer customers easy system integration and minimal use of host resources. The modules are pre-loaded with serial to Wi-Fi firmware with complete Wi-Fi functionality including security, WPS and provisioning features running on the module as well as the networking stack, an embedded HTTP server with network configuration pages, and limited AP capability for ease of provisioning. The host microcontroller is offloaded from Wi-Fi and networking functionalities and could be dedicated to customer applications. A small driver of only a few Kbytes is required to run on the host, making the solution suitable for some of the most processing and memory constrained MCUs. Drivers are currently available for most Renesas microcontrollers including the RL78, RX62, RX63, V850, SuperH, 78K0 and 78K0R.